Asheville, North Carolina is a beautiful mountain town surrounded by the Blue Ridge Mountains, where you will find unique art, great food, breweries, pretty gardens and world-famous historic attractions such as Biltmore Estate and the Thomas Wolfe Memorial. Top things to do in Asheville, NC with kids include the Western North Carolina Nature Center which houses rare animals, a historic trolley tour and dining at family-friendly restaurants. Biltmore Estate is a private estate and a popular tourist attraction in Asheville. Owned by the Vanderbilt family, the mansion and its spectacular gardens were built between 1889 and 1895 by George Washington Vanderbilt and is currently the largest privately owned house in the United States. The regal estate, which is one of the most prominent remaining examples of the Gilded Age, can be explored on a variety of self-guided and guided tours, including a breathtaking rooftop tour, which offers unbelievable views, and a tour through the magnificent manicured gardens. Stroll through Biltmore’s charming Antler Village and Winery, where you can browse quaint stores and taste fine estate wines, or get a feel for what estate life is like with an overnight stay at one of three luxurious accommodations. Home to over 60 species of animals, including black bear, cougar and red wolves, the Western North Carolina Nature Center is a 42-acre zoological park dedicated to connecting and educating people about the fauna and flora of the Southern Appalachian region. The Nature Center has an array of exhibitions showcasing incredible wildlife, including a variety of reptiles, amphibians and small mammals housed in the indoor Appalachian Station. 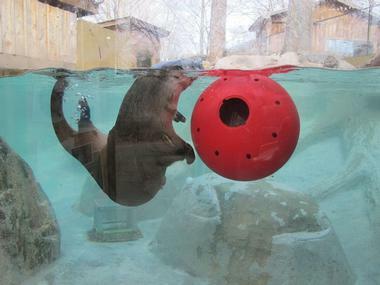 Otter Falls is home to North American river otters and several species of aquatic turtles. If you are wondering what to do in Asheville with kids, this is a great place to visit. The largest area of the park is the Appalachian Predators exhibit, which is home to red and gray wolves, bobcats and coyotes, while Black Bear Ridge features American black bears, white-tailed deer and a variety of birds of prey. Picnic tables are scattered throughout the park for family picnics. Vending machines provide soft drinks and snacks. 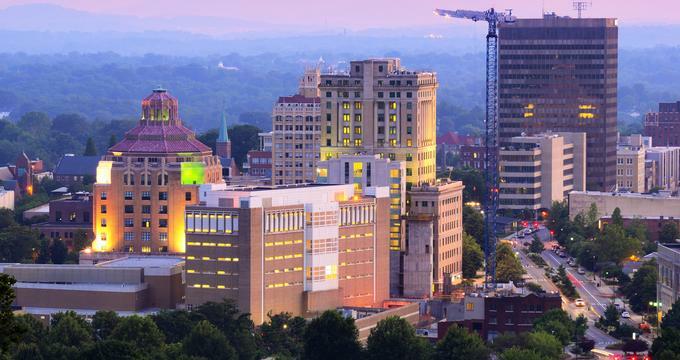 Experience Asheville’s unique Southern culture and charm through its cuisine on a fantastic food tour through the city. Asheville Food Tours take you on a culinary journey, visiting up to seven carefully selected restaurants, eateries and food shops in the trendy downtown area, where you can enjoy a range of food tastings, from delicious melt-in-your-mouth appetizers to freshly cooked entrées, accompanied by splashes of fine wine. Established with the aim of introducing people to Asheville’s burgeoning culinary scene, as well as ‘keeping Asheville local’ by supporting and promoting local businesses, Asheville Food Tours offers visitors the chance to taste some its best gourmet delights, while at the same time meeting the expert hands behind the culinary creations. The Thomas Wolfe Memorial was once the home of a 20th-century American literature giant, Thomas Wolfe. Situated in the Downtown Asheville Historic District, the Victorian period house was designated a National Historic Landmark in 1971 and is one of American literature’s most famous landmarks today. Wolfe depicted his beloved childhood home in his first epic novel, ‘Look Homeward, Angel’. In 1998, the historic house was all but destroyed in a fire, however after an extensive restoration of both the house and its surviving artifacts, the building was once again opened to visitors. 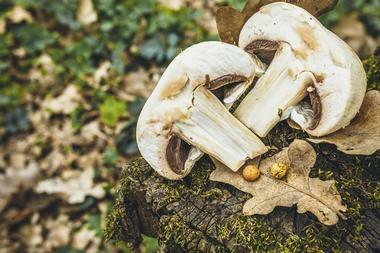 No Taste Like Home takes visitors on a unique forage-to-table experience that lets them pick their own ingredients in the surrounding forest, accompanies by expert guides who help them identify edible roots, berries and mushrooms. Once the foraging is done, you get to cook what you picked as well. Wild Food Adventures lets you choose from a number of signature experiences, excursions and events. ‘Lookin’ and Cookin’’ consists of foraging and cooking at one of the local restaurants. Other popular adventures and presentations include ‘Wild Food Banquets’, ‘Off-the-Eaten-Path’ and ‘Show and Smell’. Ranked as one of Fodor’s ‘best food experiences in the world’, No Taste Like Home is a must-try when visiting Asheville. Resting within the Pisgah National Forest southwest of Asheville, the North Carolina Arboretum is a 434-acre public garden that offers a range of activities for the whole family. Established in 1986, the arboretum is home to hiking and biking trails, an intimate stream garden and a pretty garden dedicated to native and non-native hollies. Guided tours can be taken through the park, where expert botanists introduce you to the unique fauna and flora of the region. The gardens also boast one of the most renowned bonsai collections in the country, as well as a diversity of beautiful flower exhibits year round. Refreshments in the form of snacks and drinks are available at the Savory Thyme Café located in the education center. Built in a former 1927 bus depot in the heart of Asheville’s historic downtown district, Cúrate Bar de Tapas is a stylish tapas bar that celebrates traditional Spanish cuisine in a warm and welcoming setting. Cúrate’s delicious and ever-changing menu will take you on a journey to Spain where dishes boast fire engine-red peppers, huge black olives and golden dollops of the smoothest virgin olive oil. In true Spanish style, eating good food is a celebration to be shared with friends and family and this vibrant atmosphere shines through in every corner of the restaurant. Savor delicious delights such as smoky jamón Ibérico (cured ham), crispy croquetas de pollo (chicken croquettes) and melt-in-your-mouth patatas bravas (spicy, marinated potato cubes), accompanied by fine wines from across the country. The Southern Highland Craft Guild is a guild craft organization that represents over 1,000 craftsmen and women in 293 counties across nine southeastern states. The Guild boasts the largest collection of Appalachian Craft in the world, which is on display and can be viewed in the Permanent Collection Gallery at the Folk Art Center in Asheville. © Urban Orchard Cider Co.
Asheville is best known for its craft beer, but Urban Orchard Cider Co. is planning to change that. The first craft cider tasting room and production company in North Carolina, Urban Orchard is a family-owned production company and tasting room in West Asheville where visitors can taste up to six kinds of apple cider every day. Spacious and relaxed, it is one of very few true cider bars in the country. It is a great place to learn more about hard cider, such as the fact that cider styles can be traditional Sweet English and Dry Ridge, or try inventive, quirky mixes with berries, hops, vanilla, and even jalapeno peppers. Since Asheville is close to one of the country’s biggest apple growing regions, Urban Orchard makes its ciders exclusively from local apples. The family that owns and runs the company planted 55 apple trees on their property, but they will have to wait some time to make cider from their own apples. Since they started brewing their great range of craft beers in 1998, Asheville Pizza and Brewing has been the go-to place in Asheville for a drink with friends, great pub grub, home-made pizzas, and movies old and new. With three locations, you do not have to go far. At their north Asheville location, you can get a bite to eat with your favorite brew, spend some time with the kids in the game room, or watch a movie. 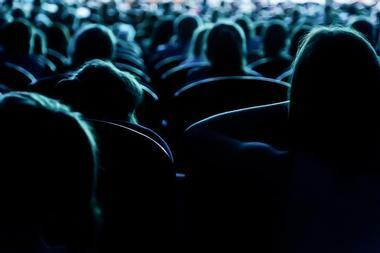 They show both the latest and classic movies in their in-house theatre, and the ticket prices are the lowest anywhere. The downtown location hosts all their brewing equipment, which you can visit, or you can relax on their deck or covered patio with friends and family with select flights of their brews. The south Asheville location makes great pizzas to go with their beers, and they also deliver. Fig Bistro is a small and intimate French restaurant in Asheville’s Biltmore Village, boasting a diverse menu brimming with delicious fusions of New American and traditional French cuisine. The menu features a variety of seasonal dishes made from local ingredients grown at the base of the Blue Ridge Mountains, and daily chef’s specials such as ‘Buta No Kakuni’ (house-cured pork belly), fresh Chilean salmon with melted leeks and wine-braised beef brisket. Don’t miss the Fig Bistro’s famed ‘Pots de Crème’ - mouthwatering chocolate pots de crème stuffed with salted cashew cookies – that draw visitors from afar. The lovely little restaurant has a casual, laid-back ambiance with bistro-style quarters and a protected patio with comfortable seating. Friendly staff greets you on arrival and caters to your every need with outstanding, yet subtle service. 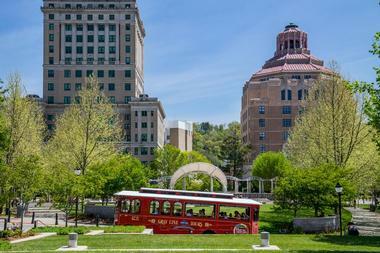 What better way to explore and experience Asheville than on a historic hop-on/hop-off trolley tour? Departing every 30 minutes from various stops around the city, nostalgic red trolleys wind their way through the city on a narrated journey where you can learn all about the history, heritage and architecture of Asheville. Whilst on the trolley, expert guides will talk about the history of the city and point out various attractions and interesting things to see. For pure ‘home-grown’ burgers, thick cut, crispy fries and dew-fresh salads, Farm Burger is the place to visit. Farm Burger take pride in using fresh, seasonal ingredients and sourced from local farms in the area to create unrivalled farm-to-fork cuisine. 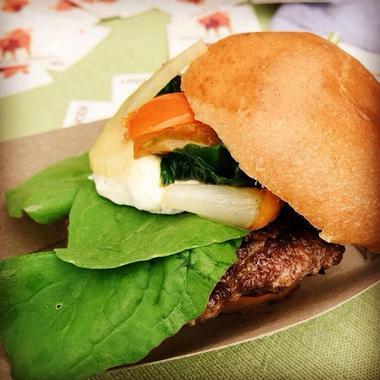 Farm Burger’s famous burgers are made from grass-fed beef, humanely raised, fed on natural grass and free from antibiotics or growth hormones, creating a burger patty like no other. Create your own burger with a choice of ingredients available on the menu, and add delectable accompaniments such as crispy sweet potato fries and fried green tomatoes with pimento cheese. Wash it all down with a range of comfort drinks like bacon brittle shake and Wells Banana Bread Beer. Established to rejuvenate the once famous weaving and woodworking complex of Biltmore Industries, Grovewood Gallery houses an exceptional collection of traditional and contemporary crafts by more than 500 artists from around the United States. Merging historical Old World charm with traditional arts and crafts, the gallery has become known as one of the top retailers of fine American craft in the country. 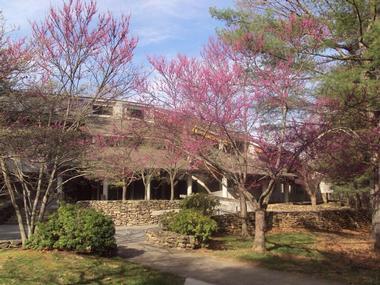 The gallery is surrounded by beautifully manicured sculpture gardens, where you can stroll in tranquility, as well as Grovewood Studios, an authentic working artist’s studio, the Homepsun Museum, which documents the history of weaving and spinning, and the Este-Winn Antique Car Museum, which houses a rare collection of old automobiles from a bygone era. Wake is all about pampering, preening and indulgent pleasure. 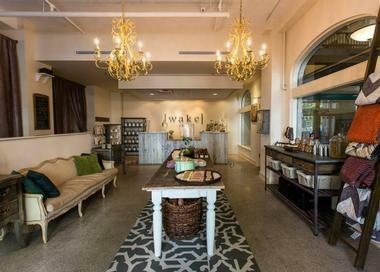 Situated in the historic Grove Shopping Arcade in downtown Asheville, Wake offers guests a soul-calming escape for body, mind and feet with a range of luxurious foot soak services, and tailor-made massages. Deep-set couches and soft chairs provide pure comfort for guests to lounge in as their feet are treated to revitalizing treatments in large hand-hammered copper bowls. Sensual fragrances float up from the water in which feet are soaked, such as lavender and lemongrass, and freshly brewed tea and coffee with sweet treats are served during the session. 12 Bones Smokehouse is Asheville's premiere smokehouse which was originally opened by Tom Montgomery and Sabra Kelley. 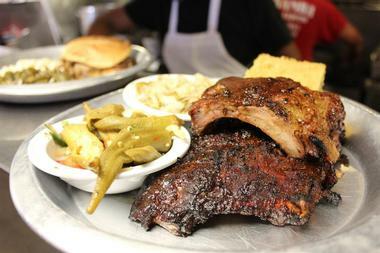 It serves up slow-smoked meats roasted on oak and cherry wood, with homemade side dishes made from scratch daily. Simple, fresh ingredients elevate comfort fare to the next level, with sandwiches, platters, and meats by the pound served up daily during lunch hours. Visitors should note that the restaurant does not take reservations. The restaurant's signature sauces and cookbooks are available for purchase at both its Asheville and Arden locations. Still Point Wellness is a world-class spa in Asheville, offering a full menu of luxury spa services for individuals and couples, including unique salt water flotation experiences, which use sensory deprivation principles to restore body wellness and peace of mind in the spa's state-of-the-art flotation chamber. 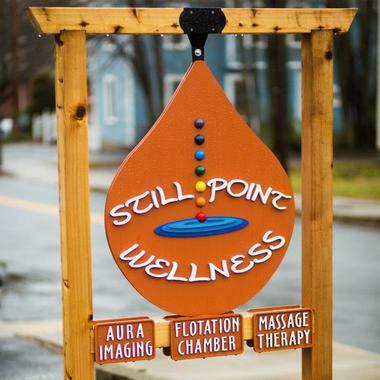 60, 90, and 120-minute flotation sessions are available, providing participants with one-of-a-kind immune boosting and pain relief benefits. Other services available include the spa's trademarked Esalen massage services, which use long integrative strokes and deep-tissue pressure to target shoulder, leg, arm, and lower back pain, and craniosacral therapy services, which improve the movement of cerebrospinal fluid throughout the spinal cord and provide relief from conditions such as TMJ, migraines, and whiplash. Buxton Hall Barbecue is the partnership of James Beard Award-nominated chefs Meherwan Irani and Elliott Moss, who met in September of 2013 and teamed up with a plan to revolutionize traditional Carolina barbecue for modern diners. The restaurant, which has been open since 2015 within Asheville's renovated Standard Paper Sales Company building, specializes in Eastern Carolina-style whole-hog barbecue, with all meats cooked old-fashioned-style over smoked wood. Barbecue pork, rib, and chicken platters and sandwiches are served daily, along with smoky fried North Carolina catfish entrees and full smorgasboard dinners, which feed a family of four and allow diners to try all of the restaurant's barbecue selections. Traditional Southern side dishes accompany meals, including mashed potatoes and hog gravy, collard greens, and fried green tomatoes. Chai Pani has been named as one of the top Indian restaurants in the country, owned and operated by three-time James Beard Award nominee Meherwan Irani. 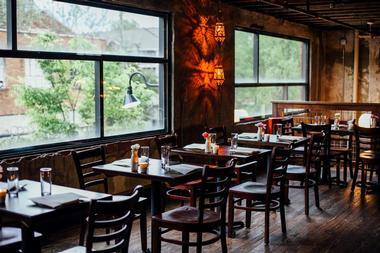 The restaurant, which was opened in 2009 and is named for the Indian words for tea and water, offers two hip locations in downtown Asheville and Decatur, Georgia, lauded by international publications such as The New York Times, The Huffington Post, and New York Magazine. 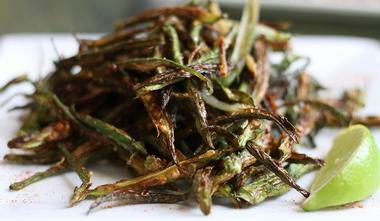 Menus focus on Indian chaat street food, including chicken and kale pakoras, okra fries, and vegan corn bhel. Clever wraps and sandwiches include the restaurant's "Sloppy Jai," an American fusion take on kheema pav. Traditional Indian favorites are also served up, including butter chicken thali and saag paneer. 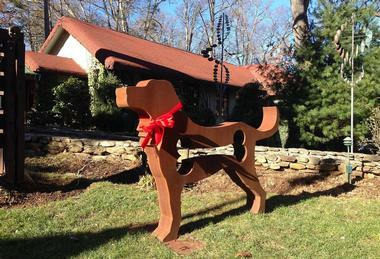 Pink Dog Creative is the brain child of Randy Shull and Hedy Fischer, who converted an old textile warehouse in Asheville’s River Arts District and created space for studios for 27 artists, two great restaurants (VIVIAN Restaurant, Fresh West Wood Fired Pizza) and a range of retail spaces. The artists now working in the studios share this unique space with New Belgium & the Wedge Breweries, 12 Bones Smokehouse, and other businesses. 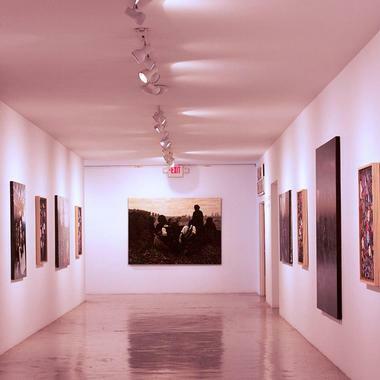 Artists open their studios to the public on Fridays and Saturdays from 11–5. Pink Dog Creative recently announced a new community initiative across the street from 342 Depot St. as part of the Container Project, inviting children to paint what they would like to see on the double-decker containers. Located in the heart of the Pack Square Cultural District, home to Asheville's vibrant downtown arts scene, the Diana Wortham Theatre is an intimate theater that presents a variety of live music, theater and dance performances throughout the year. Boasting outstanding acoustics and views, the venue is one of Western North Carolina’s premier performance spaces. The theater caters to touring artists, as well as local performers and events, and is home to the Asheville Puppetry Alliance, Terpsicorps Theatre of Dance, and the Asheville Lyric Opera, amongst others. Aiming to entertain and enrich visitors through various forms of artistic expression, the 500-seat theater is surrounded by museums, art galleries, restaurants and bars, adding to the vibrant and energetic atmosphere of the downtown scene. Urban Orchard Cider Co., Photo: Urban Orchard Cider Co.